I am notorious for dragging my feet on things. This XR-10 build has been no different. It's not so much that I'm a procrastinator, it's just that new designs always have flaws and with the durability our bergs have given us, I had no desire to move to an XR-10. 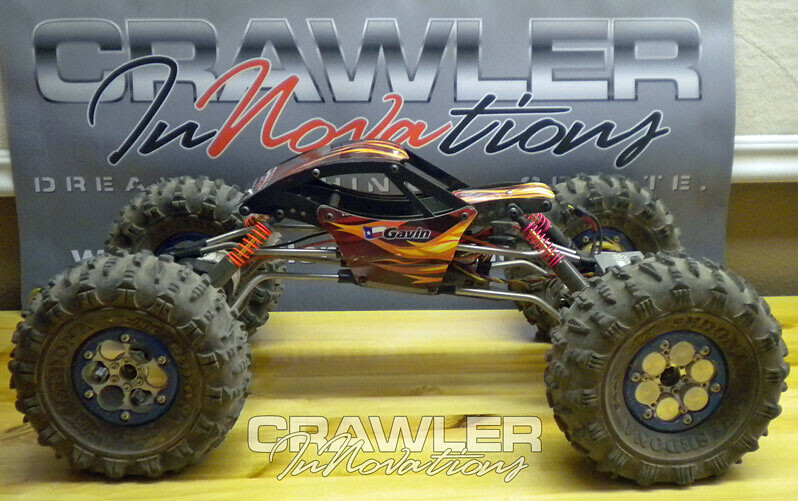 Crawler Innovations became a dealer for Axial through one of our other distributors so I purchased an XR-10 kit back in June. I gave the kit to my 9 year old son Gavin about two weeks after school got out for the summer. I showed him all the parts I had slowly collected for the this truck and gave him the option to build it box stock and sell it as a roller for the store and I would pay him for his labor. Or... he could build the truck for himself and it would be his new comp truck assuming he liked it of course. Well Gavin decided to keep it from the beginning. So he only assembled the axles from the kit. I had purchased a Y Town Crawlers, Carbon Fiber, V4 Beetle Juice from Jeremy back in April in Alabama at the East Coast Championship. So once Gavin assembled the axles, I began setting up the chassis and links. 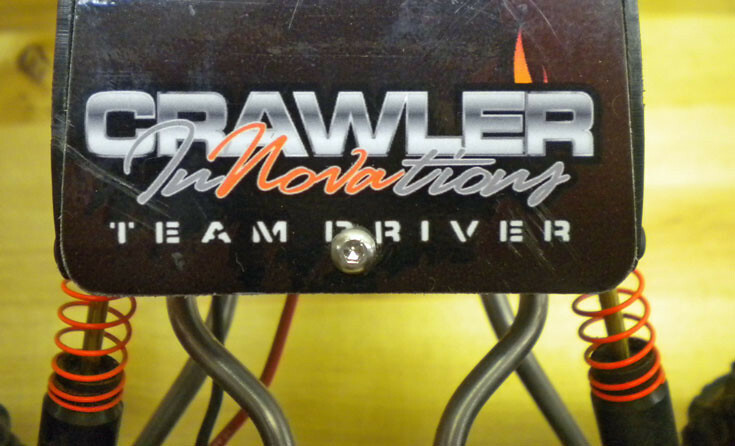 At first I used the Crawler Innovations delrin lower links. I used black low clearance delrin links in the front and black REAR high clearance delrin links in the rear. It was set up in a 60/40 configuration. It was OK, but I did not like how my titanium upper links turned out looks wise. Being a newb with the XR-10, I also was unsure what direction to actually go with the truck. 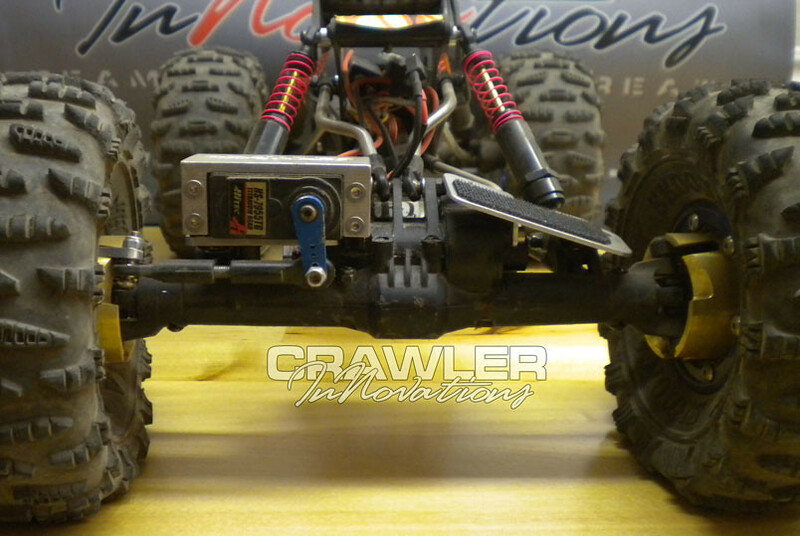 Do I use front axle cases for both the front and rear? Should I modify the rear lower links to mount to the rear shock mount? Is 60/40 best for this truck? Etc, etc, etc... I tend to over think things . So... I scrapped the first set up and went for a K.I.S.S. (Keep It Simple Stupid) set up. 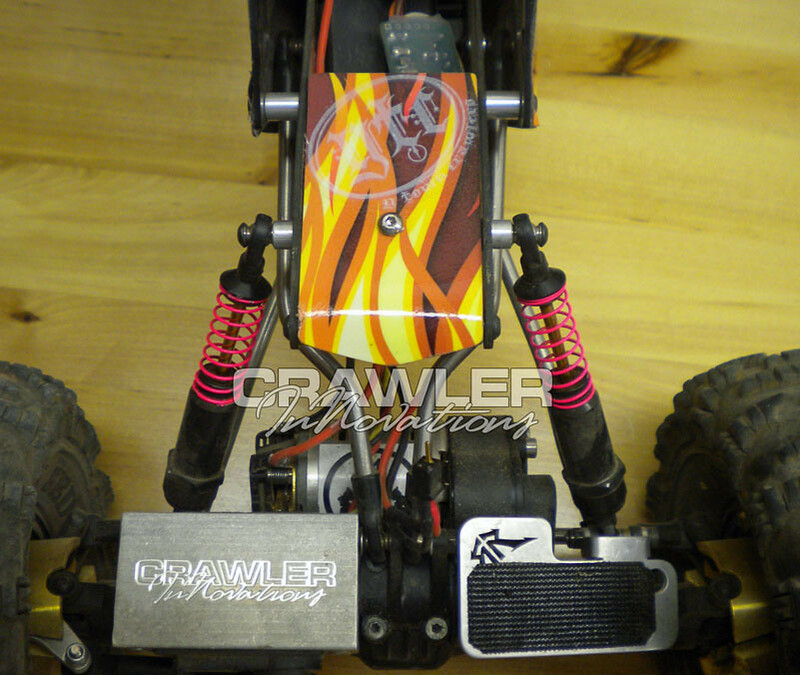 I ordered titanium upper & lower links from Chaotic Crawlers along with there Ti steering link for VP Knuckles. 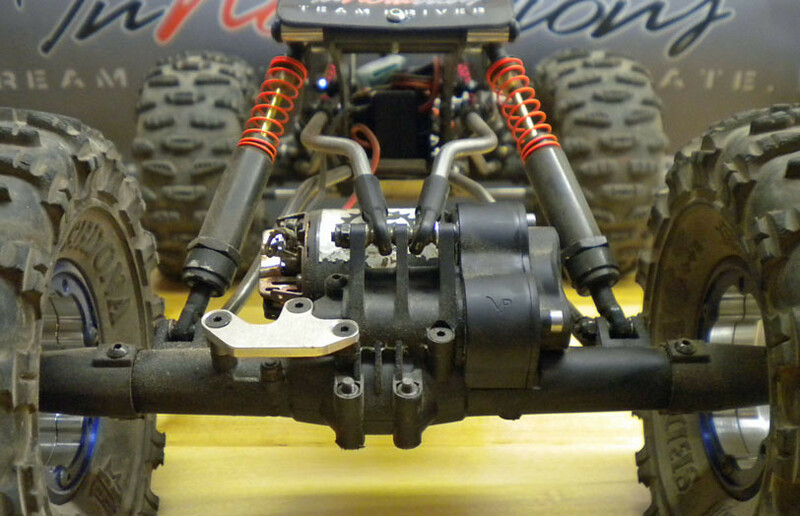 I used 3.5 Traxxas shocks in the front and 4.0 Traxxas shocks in the rear. I also kept the axles and mounting positions as designed. Slowly the truck came together, but it's taken three months to get it running. Mostly from me being busy running the business and partly from a lack of interest. With the historic heat wave Texas is having this summer, it's been to hot to work in the shop and too hot to go out and crawl. We have finally had some nice weather this last week. I took advantage of the Labor Day holiday and finished this truck. We have the ETXRCC season opener competition this Saturday and we will see how this trucks performs on the rocks in competition. - Hitec 7955 Steering Servo; programmed and wired directly to the BEC running 7.4 Volts. - 2 x Castle Creation Mamba Micro Pros; I disassembled these, removed the on/off switch at the board, removed all castle wiring, installed 18 Gauge wire, shortened the receiver leads at the circuit board, and programmed them. - wantamix V2.0; I got with Losikid (Austin) about two months ago to work with him on these. My original wantasummit mix was glitching and I was never happy with it on my berg. I was also not excited about the super long leads and added weight. He came up with a new firmware and a new design . So we tested it and it was definitely an improvement over the original design. On this XR-10, the unit performs flawless. The unit on my berg is still having occasional issues, but I think I have narrowed it down to the DX3R. So the DX3R will be going in for repair soon. We are still testing battery brands, C ratings, and mah size. So far these Turnigy batteries are doing great. The last few Hobby City batteries have failed prematurely and not held up under load. 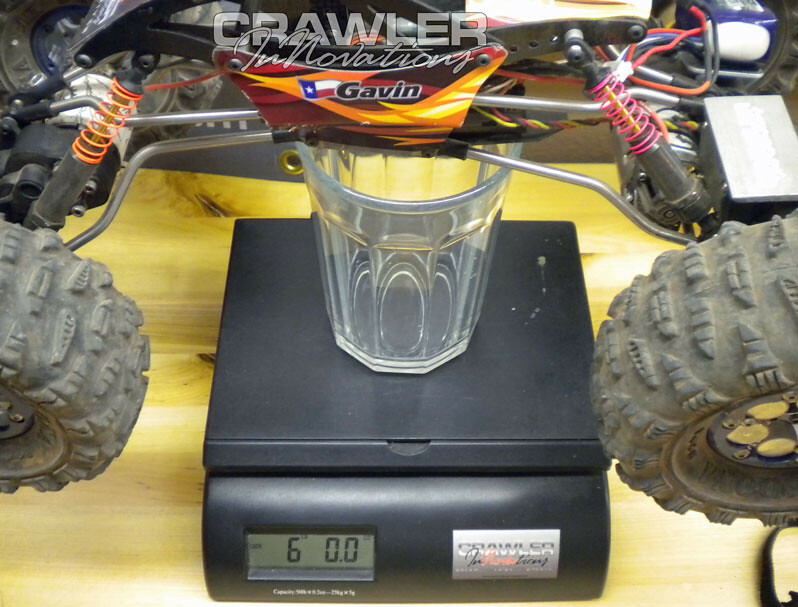 I am always humbled and amazed by the success Crawler Innovations had received. This little sticker reminds me of that and I am grateful for all the support and encouragment I have received from customers and RCC members. Thank you so much for making this possible. Looking great Eddie! Tell Gavin he did an awesome job! You must be a mind reader because I was going to email you about your delrin links and the BJ4 chassis. LOL!!! looks nice man, i like the way the chassis doesnt have that leaned back look that a lot of the bj trucks have. no khaos tires? Thank you and he will read this when he gets home from school this afternoon. He loves this truck. The only simple comparison I can make is that it's like driving a Cadillac. It's so smooth and works so well. Gavin and I are both shocked at how well it is doing as is. We have not invested a lot of time in tuning the truck. It has 5 battery packs through it total now. Gavin and I play follow the leader, he drives the XR-10 and I drive the berg and both trucks are just amazing. But the berg drives and feels more robust and heavy duty, where as the XR-10 drives smoother. I'm saying one is better than another, but I am excited to see how the XR holds up. As for the delrin links, I prefer delrin lower links and titanium upper links. I think delrin links slide better on the rocks. The delrin lowers on my berg have two years on them now and they are smooth with the rod end on bottom from all the drive time on them. The XR-10 axle design and the V4 chassis design were different link wise. I had to reform the REAR High Clearance links with a heat gun in order to curve from them chassis out to the rear axle link mount. The V4 is a very skinny chassis and the XR-10 rear link mount is pretty wide on the axle. The front low clearance links were not a problem. Of course I want to sell my products, but I am not 100% sure what is best and easiest for the customer at the moment. I don't have a lot of time myself lately, so I purchased the Chaotic Crawler links. Chaotic's service and products have been excellent. If you prefer to run delrin lower links, let me know for certain and we can set something up. Like I said earlier, this truck has little time on it. It just got running late Monday afternoon. As for the Khaos tires, we have been running Blocks mostly and testing new proto types. We started with this Sedona set up because it is what Gavin drove at Nationals last year and finished 52nd at only 8 years old . We have also loaned this set up out to other drivers at big comps. So we were looking to create a baseline to begin testing from with a set up we are very familiar with. I will post pictures and videos of some of the other items were have been testing when the time is right and the items have been proven. 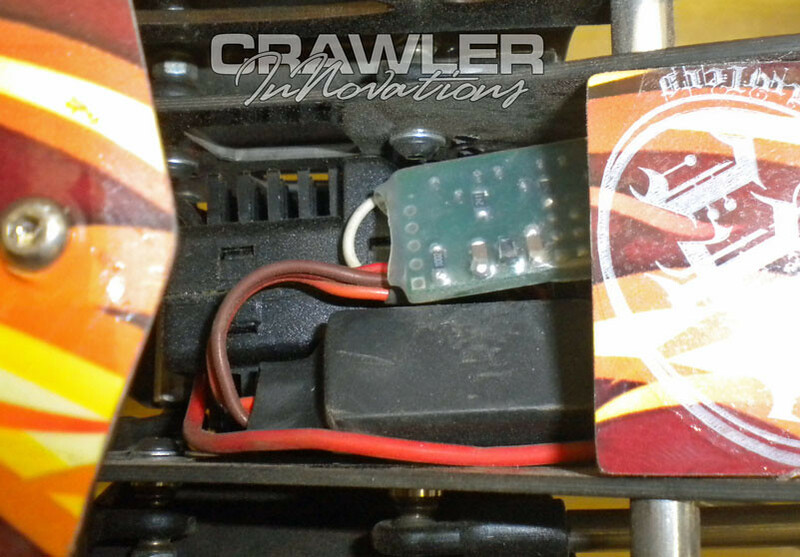 If you prefer to run delrin lower links, let me know for certain and we can set something up. I definately want delrin...the weight savings is a plus too. I'm ordering some stuff from you today for my Wraith . very nice. that is going to be slicker then snot on a door knob. That is a good looking XR he has there!!! I think he will really like the truck! Once you get past the breakage prone parts, the axles seem to drive alot smoother than other axles out there. We appreciate your support of us, and the compliments you've given!!! I'm interested to hear how you like that foam combo in the truck. I've been thinking about trying sedonas again. HAHA Can I be your kid? That's one nice crawler! I'm sure Galvin will love it! Thank you and you are welcome. I will keep you posted on the delrin links and the V4. Thank you Farmer. So far he does love it. You are welcome. Quality service and products rise to the top and you stuff has been good for us. So thank you for making an easy way to get titanium on a great chassis . The combo in these sedonas are proven. Scattman ran them at the East Coast Championship this year and had never run them before. He needed something for his truck and borrowed what he wanted to run from me and used them the entire comp. He liked them . HAHA Can I be your kid? 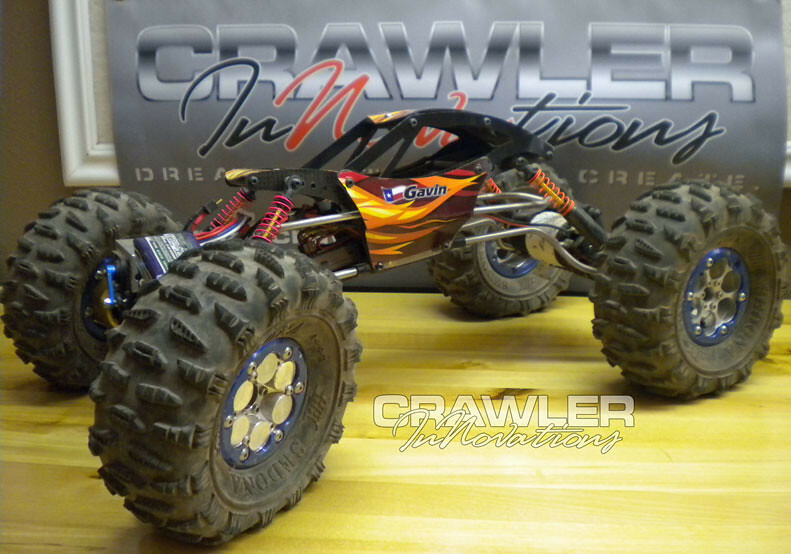 That's one nice crawler! I'm sure Gavin will love it! Unfortunately there is nothing I can do about the link length at this point. I just completed the second production run of the REAR high clearance delrin links. One thing that can be done to strengthen the delrin link when used with a Jato rod end is to change the 4mm x 20mm stud for a 4mm x 40mm stud. The longer stud stiffens the longer Jato rod end and still bottoms out in the link. That's the strongest the link is going to get. Great looking build. 52nd and only 8? Thats awesome My boy is only 3 but he loves to watch me work on and play with the Crawlers. I can't wait til he can join me with a crawler of his own. Eddie, that's a great story, it was very enjoyable to read and Gavin has put together a great looking XR. I'm sure he'll put it to good use and soon be showing lots of us how it's supposed to be done. It's got a strong backbone of great options and I'm betting this thing has got some staying power. 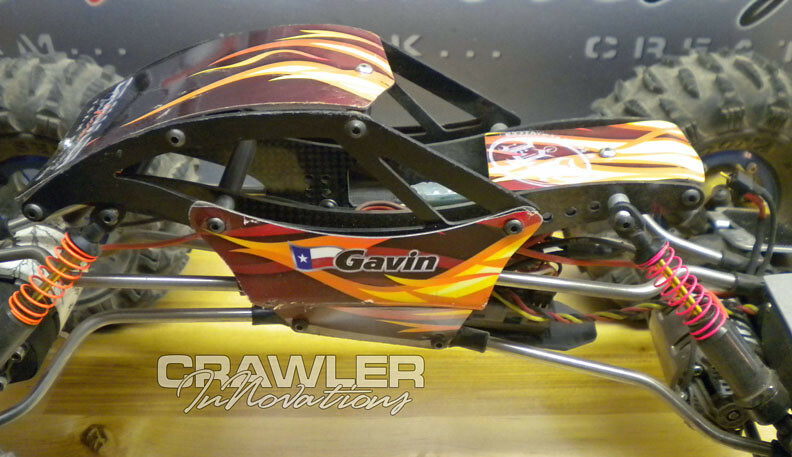 Gavin's going to give this one a good work out on those new crawling areas out your back so we'll soon see. Nice work by both of you. Delrin is a great way to go, it absorbs shocks much better than rigid links IMO, I like the way it feels when driven. My uppers and lowers are both Delrin and they are strong and light and no problems. Thank you! This is a great hobby to share with your kids and it creates some great and lasting memories. I am so grateful that Gavin shares a true interest in this hobby. Thank you so much Norm . ETXRCC (East Texas RC Crawlers) had our season opening competition yesterday. Gavin won first place using this truck. It definitely needs more drive time and tuning, but obviously it worked well enough to win, so that was really neat. The courses were pretty hard. Gavin was the only driver to complete course 3 and that was the difference between 1st and 2nd. We didn't take any video or pictures unfortunately. We ended up running Red Blocks for the competition instead of the Sedonas. We also had to widen up the track width front and rear. The courses had a number of off - camber challenges and a few tough break overs. This truck is off to a good start and I will post up the changes we make to the truck as the season moves forward. Gavin, good driving and keep up the good work! I know everytime I hang get hang out with you I learn something new. Can't wait hang out with you guys on the Oct 8th! I will let him know Eric. We are going to have a great time on the 8th. We will be cutting down a huge dead pine tree in two weeks and incorporating it into the G6 course for the 8th. So what size hubs did you run?